Are you willing to Sponsor us for 2019? 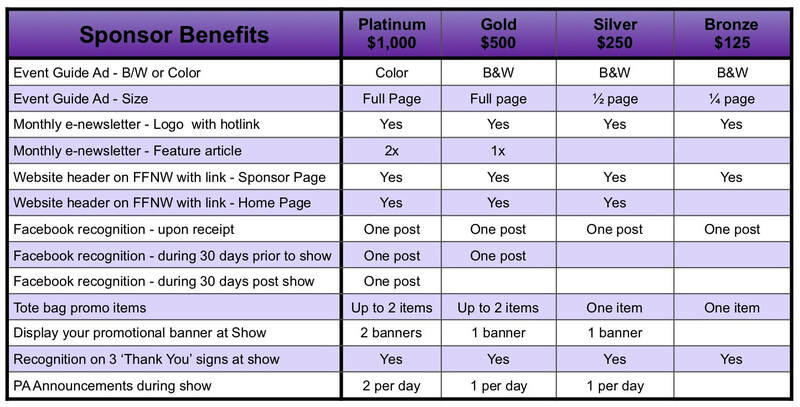 Choose the Sponsor Level that works for you! If you want to help Fiber Fusion with a donation, become a Friend of Fiber Fusion! If you prefer to mail a check rather than making a payment on-line, select the button below to download a copy of our Sponsorship Form to mail with your check.